Choose from a variety of absorbents and granulars to contain and clean spills, leaks and drips. 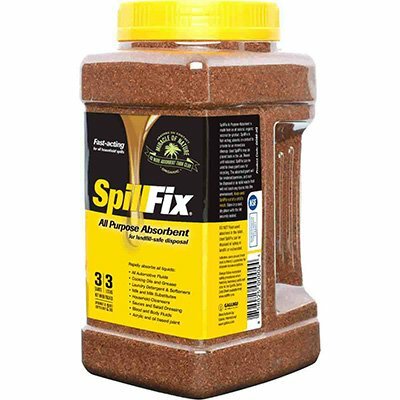 SpillFix granular is completely natural producing no carcinogens or dust and has more than four times the absorption power of clay granular. Your warehouse or facility may use chemicals, solvents, or even just plain old water in the everyday running of the business. Absorbents, particularly Granular Absorbents are a simple and very effective way to soak up all types of spills and leaks. Choose from Imbiber Beads® Imbicator® Absorbents, MiracleSorb Organic Absorbent and others.